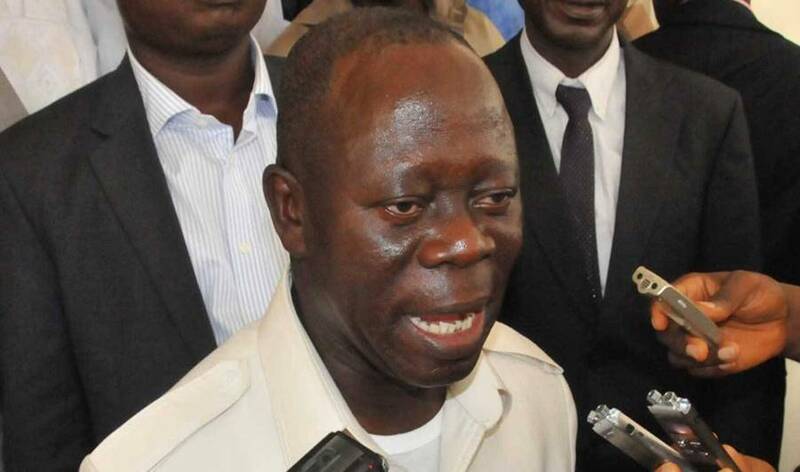 A trending video shows the chairman of the All Progressives Congress, Adams Oshiomhole making a terrible English blunder while addressing the press. Adams Aliyu Oshiomhole (born 4 April 1952) is a Nigerian politician. He is the current national chairman of the All Progressive Congress (APC) political party. He was the Governor of Edo State, Nigeria on the platform of the Action Congress from November 2008 to November 2016 and he was the president of Nigeria Labour Congress during President Olusegun Obasanjo’s administration. Adams Aliyu Oshiomhole was born on 4 April 1952 at Iyamho, near Auchi in Edo State. He was born Muslim but was led to Christianity by his late wife Clara who died of cancer aged 54. He is Catholic and his Christian name is Eric. After his secondary education, he obtained a job with the Arewa Textiles Company, where he was elected union secretary.